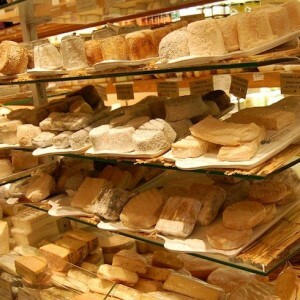 If you are a cheese lover, Paris will be heaven for you. And hell at the same time: How to choose from this vast, endless variety? It is, in fact, impossible. As it is impossible to say which cheese shop is the best in town. You’ll often hear the name Barthélemy bandied about, a small fromagerie supplying the Elysée Palace. It’s a good guess. Sarkozy can’t be wrong. Or can he? Even from the outside, this shop looks very promising. 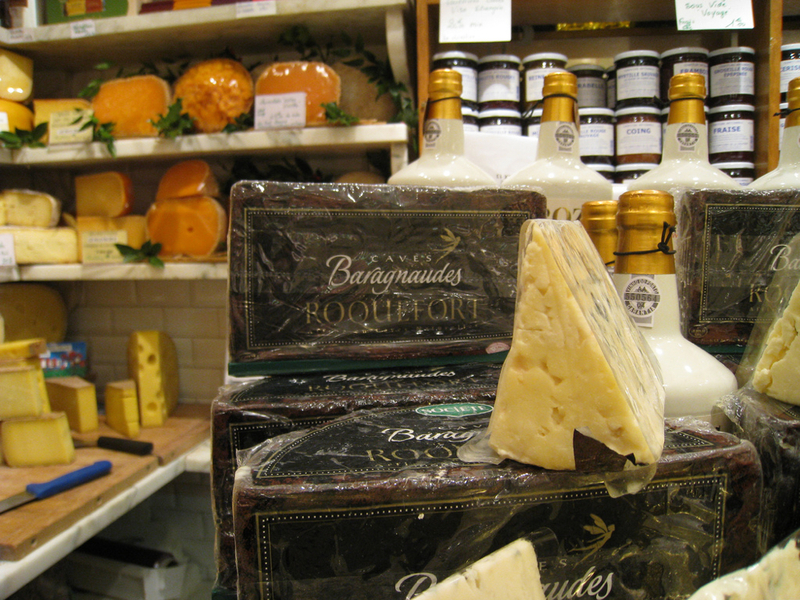 It has the nostalgic touch that makes you believe that this fromagerie has probably been around since Louis XIV. Once you walk in, you’ll be surprised, too. The shop is so tiny, and so packed with cheese, that a handful of customers already constitutes a crowd here. And there is a crowd very often, believe me. Nicole Barthélemy, who, since her divorce with famous cheese maker Roland Barthélemy, has reigned alone over more than 200 varieties of cheese and knows how to cherish her well-off clientele. A kiss on the left cheek, a kiss on the right cheek. 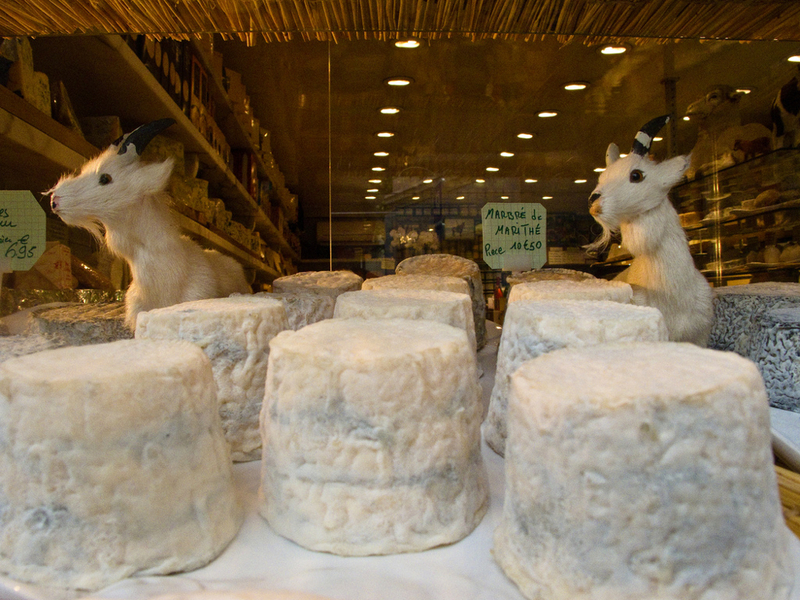 A lady asks if she can take her chèvre on credit until next week – and, of course, she can. It’s Nicole after all. And she is the boss here. She asks another, pregnant lady, when the baby will arrive because she’s knitting a present and is afraid of not being ready in time. Can you believe it? But it’s true, I’ve seen it. I’ve heard the conversation. 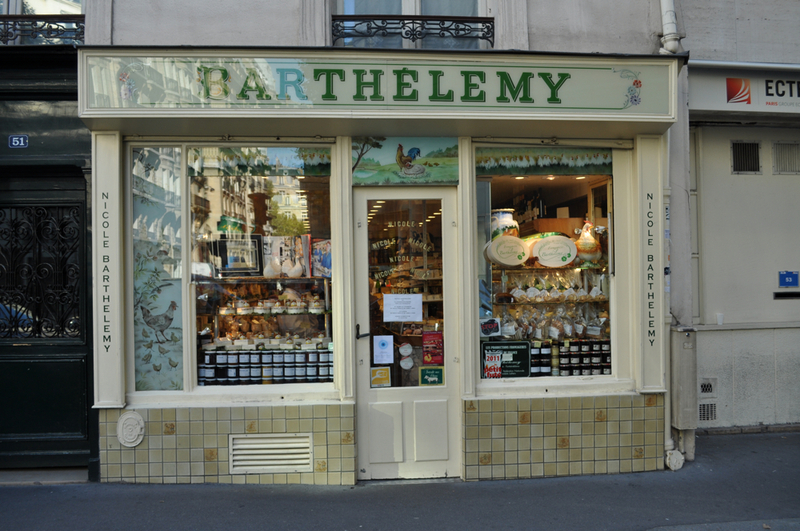 No doubt, Barthélemy is one of the best fromageries in town. There is a lot of hype around it, too. And if Madame Barthélemy doesn’t like your nose, you’d better not provoke her anger. Yet if you are part of her inner circle, she will keep her best cheese for you, hidden from the others. To tell you the truth, Mrs. Barthélemy sent me packing because I wanted to write an article for Mad about Paris and took some pictures. She HATES the internet. Don’t ask me why. She is one of those old-fashioned ladies who are always right. Always. And about everything. I still do admit that her choice of cheese is tremendous, and I won’t take back that it’s one of the best in town: Mont d’Or, Beaufort d’Alpage, Saint-Marcelin, the famous Fontainebleau as fluffy as a cloud, you name it. According to the season, Mrs. Barthélemy and her friendly staff will definitely help you choose the best fare for your cheese platter. And as long as you’re not taking photos, you have a chance of getting in and out without harassment. Just with great cheese.